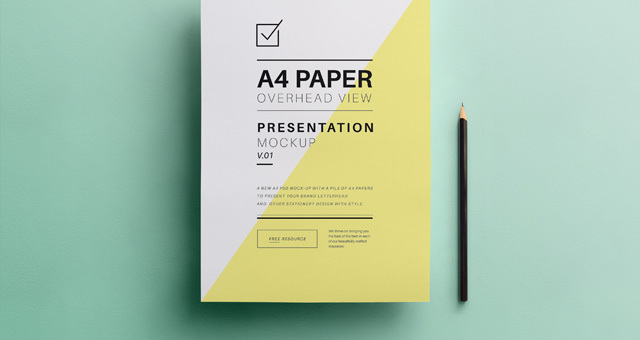 This is a great overhead A4 psd mock-up to showcase all your A4 letterhead and stationery designs with style. We also included a pencil as a bonus. Smart-object layer makes your editing and adding your own design a quick breeze. You can easily change the color of the card and text on it using the color layers and smart layer.